A beautiful, honest, insightful and uplifting looking behind the scenes of some fascinating start ups and their founders. For many businesses, it’s all about looking forward. New trends, new brands, new verticals. But Sharon Price John sees a different path: one that involves looking to the past. She has made a career of reinvigorating forgotten and failing brands, including Nerf, Stride Rite, and Barbie Fashions. But her career hasn’t been all success all the time. Alex talks to Sharon about a bet she made that went very wrong, and about her biggest turnaround yet, as the CEO and President of Build-a-Bear Workshop.<br><br>Without Fail is hosted by Alex Blumberg. It is produced by Molly Messick and Sarah Platt and edited by Alex Blumberg and Devon Taylor.&nbsp;<br>Peter Leonard and Bobby Lord mixed the episode. Theme and ad music by Bobby Lord. In November 1995, Ira Glass quietly launched the first episode of This American Life. The rest, as they say, is history. Today his show is a colossal success and Ira Glass is a household name. But in the intervening two decades, Ira has left an indelible mark on the industry by helping to shape hundreds of podcasts and as well as hundreds of podcasters—including Alex. On this episode, Alex sits down with his mentor and former boss to talk about the early days at This American Life, what Ira taught Alex, and how being a good boss means learning to set people free.<br><br>Without Fail is hosted by Alex Blumberg and produced by Molly Messick and Sarah Platt. Devon Taylor and Alex Blumberg edited this episode. The episode was mixed by Jarrett Floyd and Peter Leonard. Music by Bobby Lord.<br><br>Thanks to our sponsor, Cole Haan. You can hear more of Alex and other Gimlet hosts in conversation at <a href="http://ExtraordinariesOnTheMic.com">ExtraordinariesOnTheMic.com</a>, produced in partnership with Cole Haan. When Julie Schwietert Collazo heard that migrant families were being separated at the U.S.-Mexico, she wanted to do something to help. But how could she, just one person, thousands of miles away from the border, actually make a difference? Julie tells Alex how she found one tiny way that she could help—and how doing that one tiny thing turned into something much larger than she ever could have imagined.<br><br>To learn more about Julie and Immigrant Families Together, check out <a href="https://immigrantfamiliestogether.com/">immigrantfamiliestogether.com</a><br><br>Without Fail is hosted by Alex Blumberg and produced by Molly Messick and Sarah Platt. Devon Taylor and Alex Blumberg edited this episode. The episode was mixed by Jarrett Floyd, Catherine Anderson and Peter Leonard. Music by Bobby Lord.<br><br>Thanks to our sponsor, Cole Haan. You can hear more of Alex and other Gimlet hosts in conversation at <a href="http://ExtraordinariesOnTheMic.com">ExtraordinariesOnTheMic.com</a>, produced in partnership with Cole Haan. Caterina Fake was on her way to life in academia as a Renaissance literature scholar when the tech world came knocking. She co-founded Flickr, the hugely popular photo-sharing site, and started a handful of other tech companies. These days she runs her own VC investment firm and is regarded as one of Silicon Valley's top visionaries. But spend five minutes with her and you'll realize she has not left behind her academic roots; instead, she brings that mindset to everything from predicting the next big tech movement to making the case that every business should be a family business.<br><br>Caterina Fake is the co-founder of Flickr and Hunch.com. She is a partner at Yes VC. To learn more about Caterina's upcoming podcast check out <a href="https://shouldthisexist.co/">ShouldThisExist.co</a><br><br>Without Fail is hosted by Alex Blumberg. It is produced by Sarah Platt and edited by Alex Blumberg, Devon Taylor and Nazanin Rafsanjani. Jarret Floyd mixed the episode. Music by Bobby Lord. When you run a company, you hear two pieces of advice over and over again. One is that you must persevere at all costs. And the other is that you have to be ready to pivot on a dime. To persevere or pivot: it can be hard to tell which is right. But when Evan Marwell set out to tackle a huge national problem seven years ago, he didn’t really have to choose. Persistence is his default. Evan tells Alex the crazy story of how he helped to bring high speed Internet to American school children — thanks to a bit of luck and a lot of perseverance.<br><br>Without Fail is hosted by Alex Blumberg. It is produced by Sarah Platt and edited by Alex Blumberg, Devon Taylor and Nazanin Rafsanjani. Jarrett Floyd mixed the episode. Theme and ad music by Bobby Lord. Additional music by Jupyter. NBA player Andre Iguodala plays for one of the most dominant teams in the league, the Golden State Warriors. Before that, he was the number one option for the Philadelphia 76ers. Andre talks with Alex about playing for a team where everyone loves you...and what it’s like when they don’t. He says what he really thinks about teammate Steph Curry, and Andre answers an age-old question: are sports really a metaphor for life? When Sophia Amoruso started selling vintage clothing on eBay from her tiny San Francisco apartment, she had no idea that one day she would be at the helm of a fashion brand valued at 350 million dollars. And once venture capital came into play, it seemed the sky was the limit for Sophia and her company Nasty Gal. Find out how Sophia went from bankrolled to bankrupt—and what she's doing differently with her new company, Girlboss. Any big success requires looking failure in the eye. 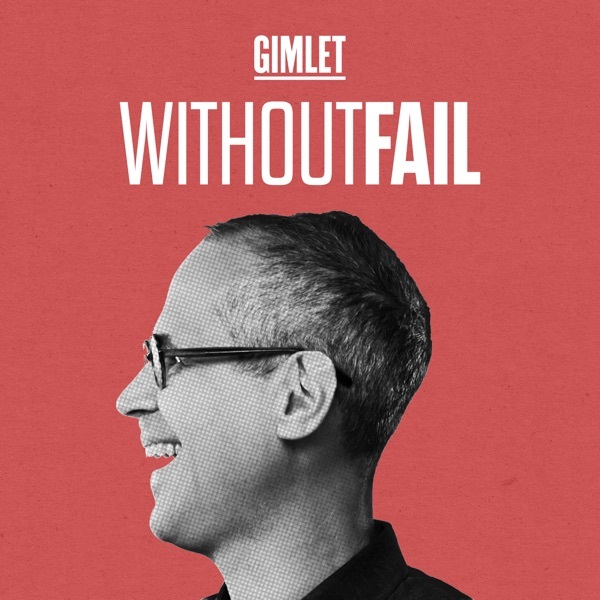 Without Fail is the new show from Gimlet Media that asks people who have pursued incredible things: What worked? What didn't? And why? Without Fail premieres October 1.